This week marked the 100th anniversary of the start of the First World War. Today marks the anniversary of an even more grotesque event – the dropping of the atom bomb on Hiroshima on 6 August 1945. Three days later the second bomb was dropped on Nagasaki. These remain the only use of nuclear weapons in warfare. 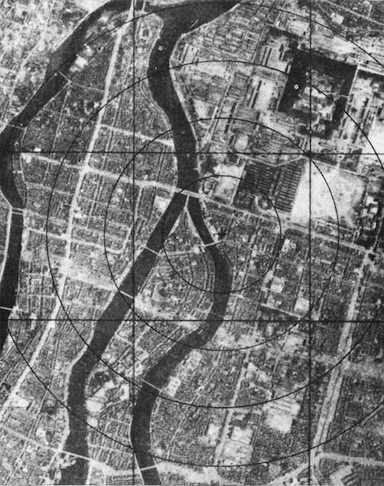 Some 12 km² of Hiroshima were destroyed, as were around 69% of the city’s buildings. 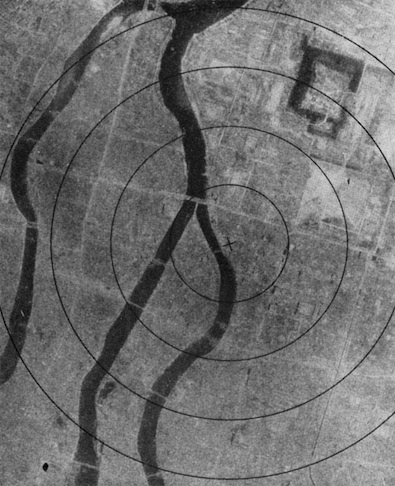 The images above, which were taken by the US military on the day, show Hiroshima before and after the bombing. Some 66,000 people are thought to have died in Hiroshima on the day; probably a similar number again died over the next four months as a result of their injuries or from radiation sickness. So fierce was the heat that people were vaporised but their shadows left upon the walls.